Bangs, fringe, whatever you want to call them, they are ALWAYS a beauty/fashion combo at some point during one of the seasons. And with Fall on our doorstep, it's time to take the plunge or Big CUT, ladies. of them and went just off center part. 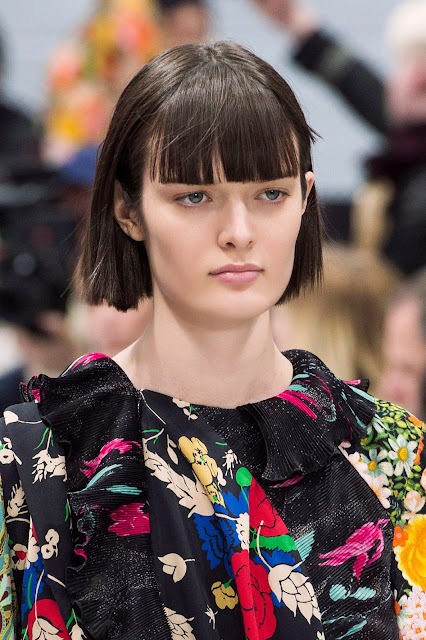 Here's what's HOT---the runways showed bangs for Fall/Winter 2016/2017. 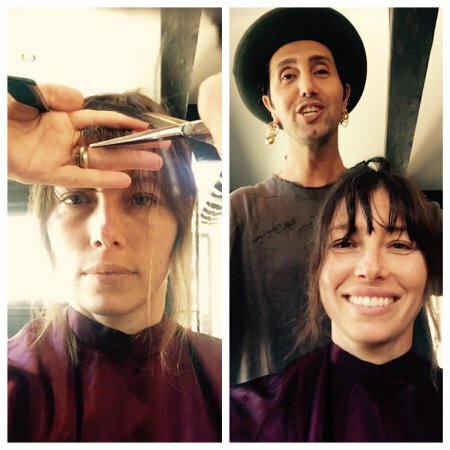 Even glam momma Jessica Biel returned to her signature bang beauty with a recent CHOP-CHOP. I would like to get some clip-on bangs for when I want to join the trendy bangs brigade, and not have to worry about the grow-out process. How about you-----Are you about to get bangs or skip the look? 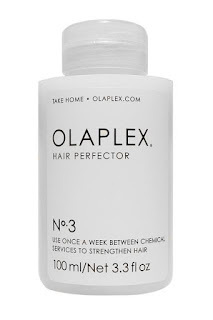 If You Wear Platinum Like Kylie, Then Use Olaplex In Between, Girl! 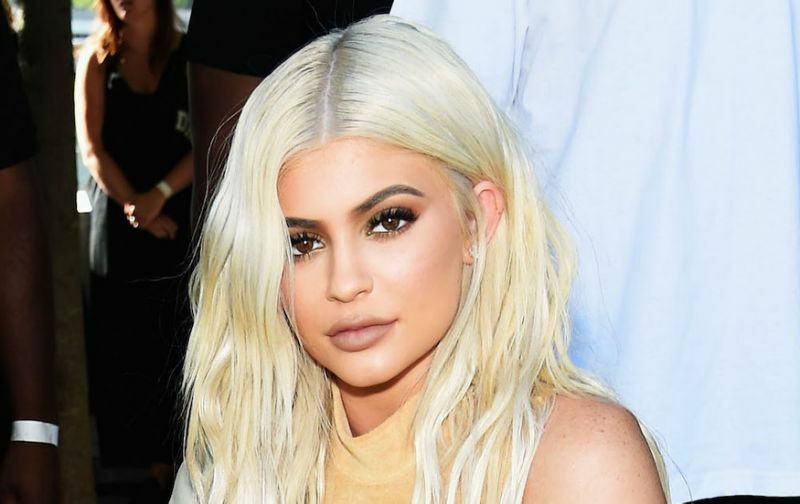 We happen to LIKE Kylie Jenner's brand new platinum locks. We think she wears it well. However, we believe she looks OLDER than her 19 years. But, hey----who's counting? We especially LOVE dark brows + blonde hair. Yes, it's usually a No-Go, but we think bold brows + platinum CAN work for some people. Priscilla Valles told PeopleStyle that they went silvery platinum and that Kylie's hair appeared to be in great condition to handle the super light locks. For the extra scoop on Kylie's silvery platinum shade, click here. 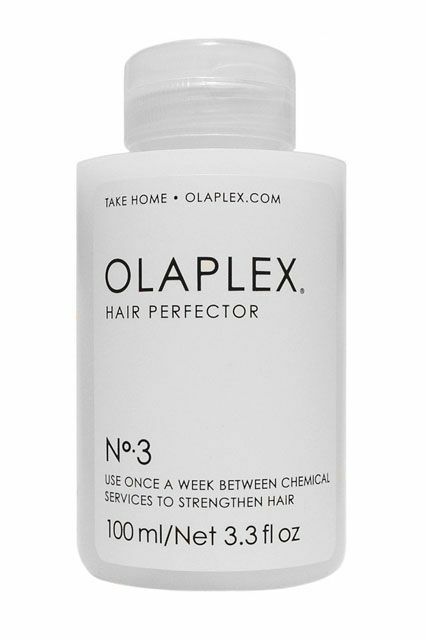 Want Longer More Beautiful Hair? Then Try Cutting Hair By The Moon! 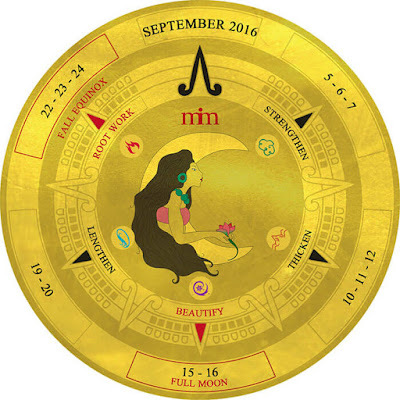 I know it sounds totally bizarre, but consider the Old Farmer's Almanac and how the popular, longtime publication ALWAYS prints up their Gardening by the Moon Calendar, because those dates are based on the phase + position of the Moon and indicate the best times to GROW crops, turn the sod, sow the grains, etc. The SAME growth principle applies to HAIR, if we believe a legend in the business, Anthony Morrocco, who tended to the gorgeous heads of Jackie Onassis, Mia Farrow and many others back in the day. He claims that you need to follow 5 hair goals. He explains the details here at his website, the MorroccoMethod. Lengthen: Shocks and excites your hair growth patterns, causing your hair to grow two to three times faster than normal. Thicken: Promotes the activation of new growth cycles in your bulb and hair follicles that thicken the follicle. Strengthen: Enables roots, follicles, and bulbs to increase and strengthen your growth patterns, producing stronger and more resilient hair. Root Work: Shocks the entire growth cycle, aiding your hair and scalp in all aspects of hair growth and scalp improvement, this should be a base in your cutting routine. Beautify: Improves and evens the texture and sheen of hair as well as enhances and refines waves and/or curls. We're blown away by this. Anyone else? If you're enjoying the searing sun at the beach or lake as you soak up the last days of summer, make sure your bikini area is bump-free, if you know what we mean. It's so easy to develop annoying little bumps + ingrown hairs when SHAVING or WAXING the most sensitive bikini area. BUT....there is a great solution. Use the proper prepping ointment and avoid the common irritated bikini area. 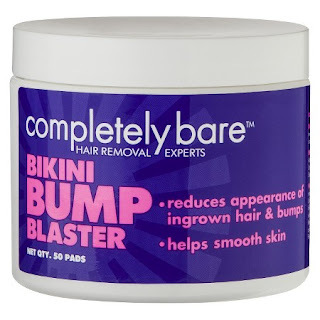 Try this by Completely Bare, Bikini Bump Blaster Pads ($9.99 for a jar, at ULTA). Just apply and swipe across the bikini area AFTER you remove hair. According to the Bikini Bump Blaster, it's formulated with key ingredients like Glycolic Acid + Salicylic Acid to help PREP the skin + clean the sebum. This effective solution comes in little disposable pads. Wipe the entire targeted area with a moist pad one to two times a day. MyChelle Dermaceuticals Launches Fall 2016 Triple Skin Care Line-Up---Wow! If you haven't tried MyChelle Dermaceuticals yet, then Fall 2016 is the perfect time to REPAIR + HEAL your skin from summer's damage. MychelleDermaceuticals is ALL about advanced bio-active skin care. The brand uses REAL beauty science to develop their amazing anti-aging formulas-----including effective ingredients like plant stem cells + peptides. And we happen to ADORE Mychelle's media specialist Suzette Schermer, who is always accessible and allows the brand to be up-front + transparent to beauty writers, such as myself. 1. Perfect C PRO Speed Peel (10% L-Ascorbic Acid Vitamin C), $32.50. 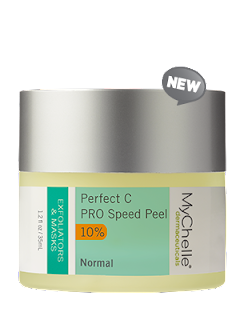 This powerful peel is like a TANGERINE dream in a scented puree form. It is an excellent exfoliator that keeps your complexion clear, radiant + soft. 2. 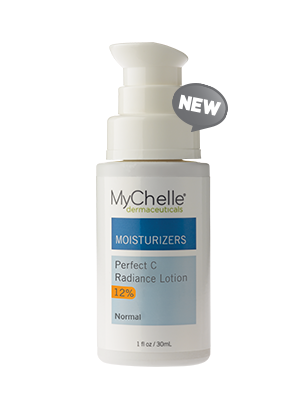 Perfect C Radiance Lotion (12% L-Ascorbic Acid Vitamin C), $45. Love this spectacular skin brightener full of rich C and licorice extract. Your complexion's texture will feel like SILK + have re-newed suppleness. 3. Bio-Firm Hydrogel Concentrate, $45. This beautiful blue, cooling gel is ideal for facial contours. I even put it around my eyes + love the instant lift it provides. Plus, it's full of concentrated 2% hyaluronic acid. This is THE triple threat for Fall 2016. If your skin is crying out for help, try MyChelle Dermaceuticals' 3 NEW advanced skin care solutions. I've got mine.....and I'm NOT sharing!